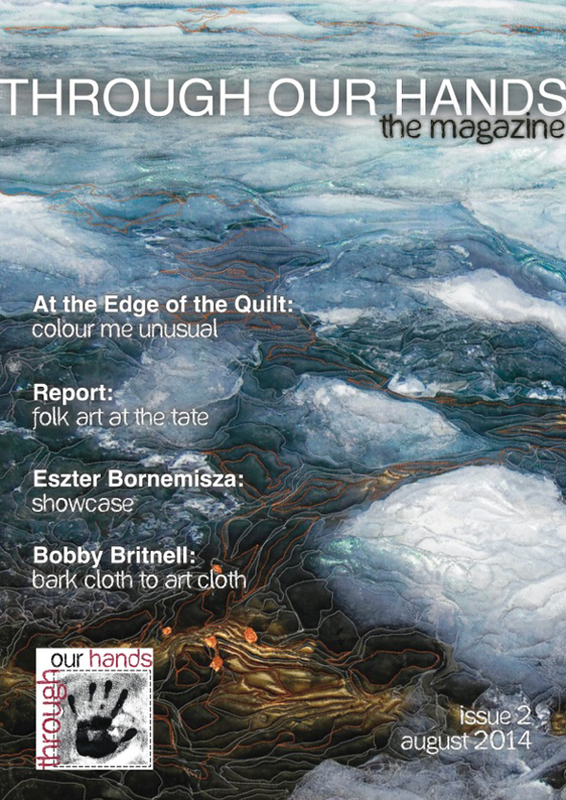 Through Our Hands, an online platform for contemporary quilts, art and craft, has just published the second issue of their magazine with beautiful illustrations of artists’ work. The editorial team includes Annabel Rainbow, Laura Kemshall and Linda Kemshall. My blog post about the arrival of their first magazine back in May will tell you more about the project’s background and contains a link to the first issue. I have been invited to contribute a regular column and my latest article is about quilts in Tate Britain’s Folk Art exhibition on pages 51-56. The link to the magazine is here.